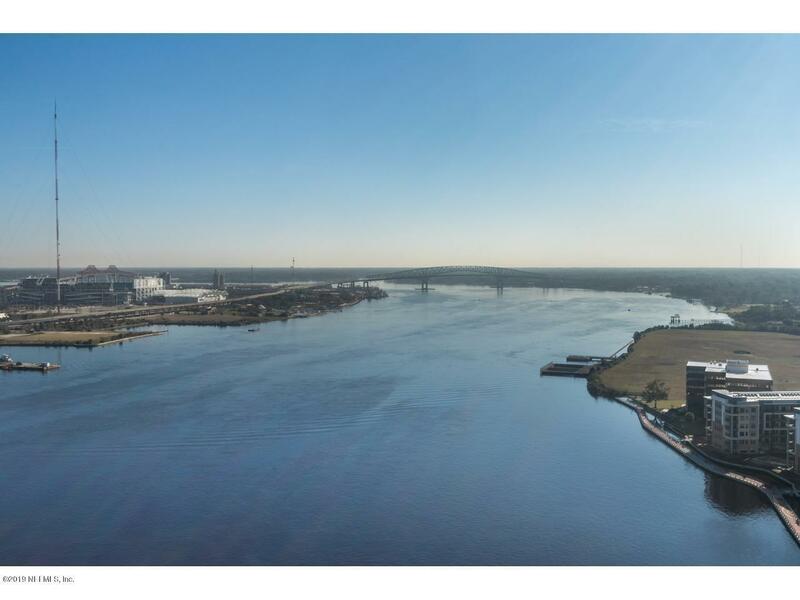 Gorgeous 25th floor unit has unobstructed North East view of the river and the stadium! Welcome to downtown's most sought after address - The Peninsula! 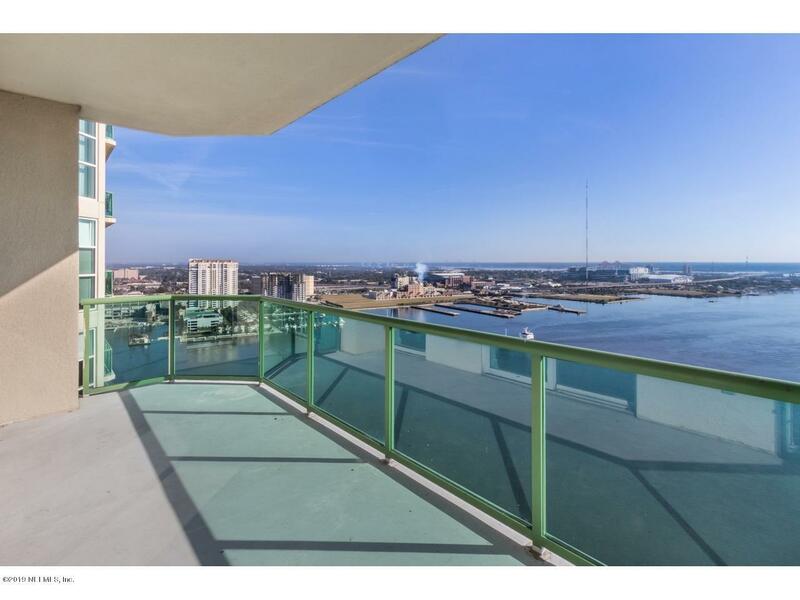 Luxury, amenities and views! 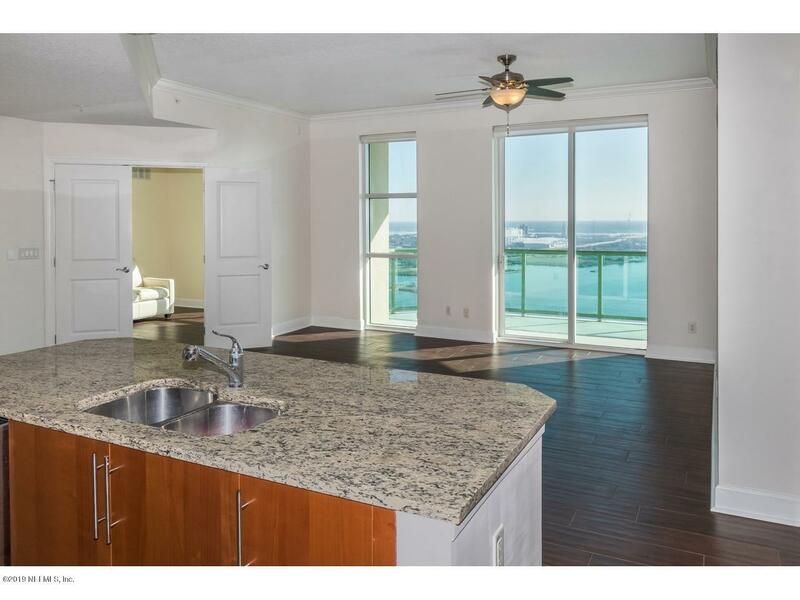 This spectacular unit has 2 roomy master suites, each with private bathroom, plus an office. The family room is oversized offering plenty of room to entertain and boasts a large balcony to enjoy the view with plenty of seating room. The kitchen is sleek and modern with a California Counter, featuring top of the line stainless appliances, granite counters and Italian cabinetry. Add to this picture custom wood-look tile, deep crown molding, high ceilings, and floor to ceiling windows throughout, this sky home is a must-see!! Amenities abound featuring 24 hour concierge, valet, pool, hot tub, sauna, meetingrooms and so much more. 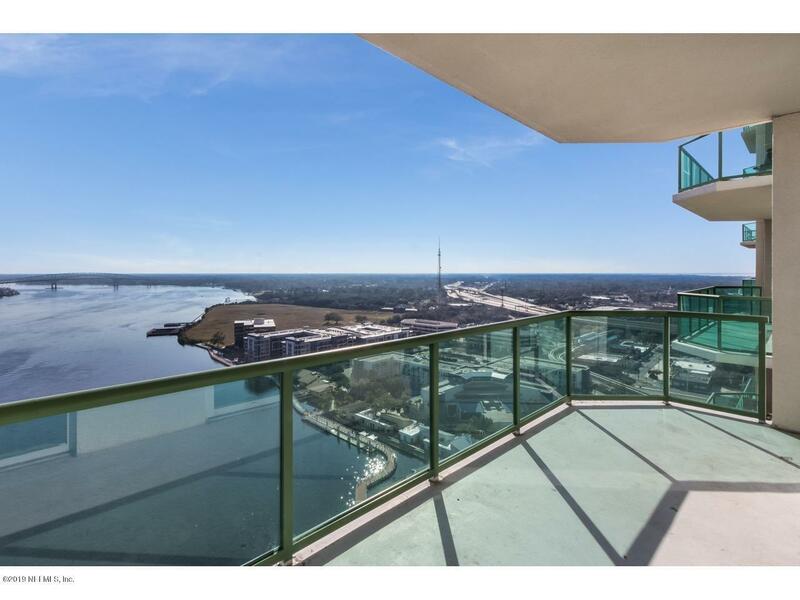 Easy access to downtown and San Marco. Come take a tour; You will not be disappointed!